New Year, new you. What’s the hype about the new diet alternative? Getting healthy should be a main concern for all of us if we are to live lives that are happy and full of energy. I want to address the recent conversation regarding a new alternative to dieting. Folks, there’s nothing new here, just common sense. Our brains need fat for optimal functionality. That’s no secret. But most people think that gorging on bacon is healthy because they try to follow a Paleo diet. A meat and veggies approach seems more plausible than a high protein / high fat diet with much of its fat derived strictly from meat sources. Here is what could be deemed as a way of eating that most are now calling alternative. I avoid using the term diet as much as possible because the word has such negative connotations. The alternative is to add more healthy fats to your diet. Coconut oil, avocado, olives and olive oil. Because the old rule of less calories, more exercise doesn’t work, more people are finding that all calories are not created equally. I have first-hand experience as I’ve been loading up on organic veggies, adding the good fats for extremely high calorie meals and losing weight as a bonus. No longer do we want to burn sugars as our main source of energy. Low-glycemic fruits such as berries help sustain a balance. Foregoing grains as much as possible also helps. I eliminate sugar as a rule, so no baked goods for me. Free range eggs are an excellent source of protein as are free range chicken, turkey and wild caught fish. Lowering the amount of red meat is helpful too, but I will occasionally indulge in grassfed beef. Dairy products are questionable. For some of you, try eliminating cheese or ice cream for a few days to see if your body has issues with them. Add them back in to notice any changes. I find that dairy can cause my body to create more mucus than desired, and the salt content in cheese can be extremely high and will cause bloating and weight gain. Check it out for yourself. Some people who are lactose intolerant understand some of the side effects. It’s best that you determine for yourself if dairy is a good option for you. I also add in raw nuts and seeds in my eating plan to stay happy. I keep a small amount in my purse for use in situations when I need a snack and a healthy choice is not readily available. In this way my need to crunch is satisfied, and I don’t reach for potato chips. I’ll add nuts and seeds to green drinks or smoothies. Keep in mind that most smoothie recipes or ones you’re likely to find in commercial arenas are filled with sugar. I don’t know about you, but I find that sugar is hard to eliminate because it is added to most foods. I find it in the most unexpected places. Take a look at a commercial tomato sauce ingredient label sometime. Better yet, look at all food labels. That’s a great habit to get into. Swap out rice for quinoa, a seed that adds a protein punch and compliments many meals. Keep in mind, the closer your food is to its original state is best. The alternative way of eating does not allow for those processed items placed into colorful boxes on grocery shelves. Remember, there is no such thing as junk food. You can either eat Junk or you can eat Food. 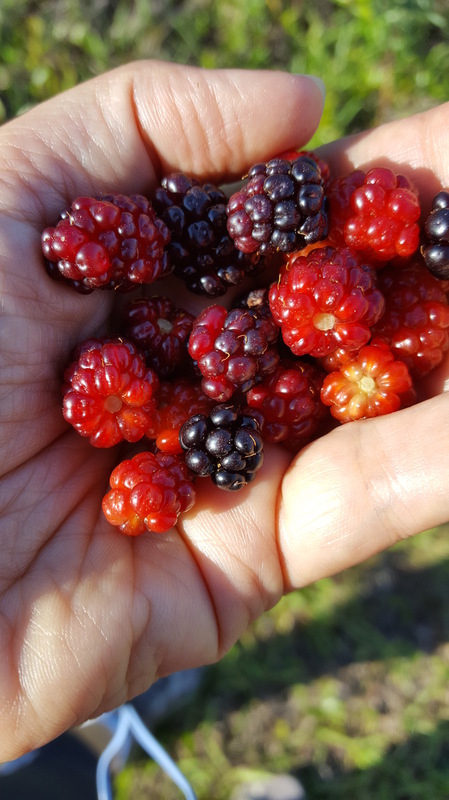 Pick food. Eat clean. Try incorporating some of these suggestions this year. You’ll be happier! Smiles, and good luck to you in the new year and new you! Feel free to ask questions in the comment area. I recently found out that Bob Nielsen, a dear professor from my undergraduate years, and part of the reason I started this blog, passed away. He had struggled with prostate cancer for years, as well as diabetes. I remember watching as he checked his sugar during our independent study session that followed the lunch hour. One of the things he mentioned that his wife allowed him to eat for a snack or dessert was “graham crackers and cream cheese; oh boy”, he would say as he tried to drum up some enthusiasm. Prostate cancer is an inflammatory disease. A study done by Sfanos and DeMarzo (2012) provides some evidence that inflammation is to blame. “There are multiple different lines of evidence suggesting that inflammation is very common within the adult prostate” (para 4). One can imagine that inflammation has its hand in other diseases too, including diabetes. We have all had injuries when inflammation took over and helped us heal. Chronic inflammation moves in when the body’s immune system overloads because it cannot rid the cause of the initial swelling. Sometimes stress is a major factor in the inability to overcome inflammation. Known as the fight or flight response from our parasympathetic nervous system, our bodies gear up to escape from that bear or lion. These days, the bear or lion is replaced by sitting in the hot-seat of an office desk with loads of work, though it is not an immediate threat. If the perceived threat has no relief, the body has trouble eliminating the adrenaline and translates it into stress. That stress creates inflammation in the body. Chronic stress is a terrible condition because when there is no outlet for the build-up, the body cannot help but create inflammation as its response to stress, whether real or imagined. The body only understands feelings. It cannot determine if the pressure is real or something we see on television as we sit in a theater watching gory or horror films. However, some adrenaline is good. We need it to get out of the way in traffic, for instance. But everyday stress from a job is detrimental to health. Let’s look at some of the ways we can help our bodies cope with stress overload. Sometimes the help of a medical professional is needed; but you may want to try some of these remedies first. Harvard studies indicate that certain foods will help fight inflammation. Certain foods should also be avoided. And if you have been paying attention to good health, that food list will not come as a surprise. Think about what your grandmother and grandmother’s mother would have eaten and follow those rules. While Harvard lists tomatoes as anti-inflammatory, it’s one of those foods considered a night shade – think eggplant, potatoes, peppers – which may cause inflammation in some people. I react differently when eating them; I notice right away when my knee begins to ache. I feel better both in my joints and in my mood when I stick to these types of foods. Another thing that Harvard has left out is the importance of fermented foods. Improving the health of the gut can combat chronic inflammatory diseases with proven results. Gut health enables the body to eliminate toxins like pesticides common in commercially produced food today. One of my favorite public figures, Dr. Mercola, has a terrific website with great deal of information regarding health. He lists clove, ginger, rosemary, and turmeric (curcumin) as the best herbs to use. Starting out slowly with these as a daily regime is a good way to start. I take turmeric supplement for my aching knee. It has been one of the most beneficial herbs for me. It’s actually a root, similar to the ginger family. Check out your local grocer. You might find it there in its original form now that it has become popular. Funny how that happens. Dr. Mercola lists these specifically to help us boost our resistance to inflammation by adding these to our own recipes. When it’s easy to do, people will do it. Start with one or two today. Essential oils are also recognized to help combat inflammation. In a study of lab rats, rosemary, eucalyptus, and ginger essential oils reduced episodes of edema; the latter two reduced effects from the ingestion of carrageenan, a common ingredient in commercial yogurts and ice cream. You might want to scout out this ingredient and remove it from your diet. I found too many tests in my search that aim to fight its inflammatory side effects. The U.S. National Library of Medicine comments that essential oils are used as therapies because the nose first detects the scents. The sensors recognize the chemical compounds of the oil, then work on the limbic system as effectively as a drug (PDQ, 2014). Certain combinations from fragrant plants demonstrate relief from stress and improve the quality of life. Two of my favorites are Stress Away and lavender from Young Living essential oils. Lavender is one of the most popular scents, often found in baby products since its affect is almost immediate. You can create your own uplifting scents like the combination of cinnamon bark, peppermint, and cedarwood that I use when I need to stay calm yet alert while driving in heavy traffic. You can breathe away the stress in your life too. While not commonly known as grounding, using the effects of the earth on our bodies is an amazing way to de-stress. Countless studies and feedback are addressed in the book Earthing. The subtitle says it all. Is Earthing really a new heath discovery? Hardly. People have walked barefoot on the earth for thousands of years. But lately we have disconnected, so to speak. Our high-rise buildings and the invention of the rubber sole shoe promote the separation between us and the earth. The text demonstrates the electrical effects and relationship between humans and the earth, provides a list of the benefits of getting our feet back on the earth, and provides compelling thermal imagery after grounding. Page 63 shows a list of diseases caused by inflammation. It’s not surprising that other chronic conditions such as allergies, asthma, diabetes, lupus, and MS are on this list. Pain is listed too. We all have pain of some sort. Think of it… just coming in contact with the earth on a regular basis can help us. You see, lowering the EMF (Electro Magnetic Field) is imperative. We are surrounded by constant waves of energy; over time, people who do not ground with the earth are susceptible to “infection, stress, and degenerative diseases” (Ober, Sinatra, & Zucker, 2010, p. 79). Earthing helps to move that EMF off of us. Think of the last time you were at the beach and played in the ocean or other body of water. Recall the feelings of peace, relaxation, and regeneration. What about the last time you walked in the yard to feel the grass under your feet? Doing so is completely free, but so few of us do it. At the very least, Ober has invented a way to gain similar effects from placing a ground in the earth. Your kitchen and bathroom electrical outlets have a ground to the earth. By using this part of the plug, Ober created grounding mats, mattresses, pillowcases, and the like to help you absorb the earth’s ground as you work and sleep. The grounding mat is great when the air becomes dry in the winter months. Static electricity can wreak havoc when doing laundry or just walking on a carpet. I am using a grounding mat as I type. The sweat from the bottoms of my bare feet help create the ground and move the EMF off of me when I work. Aside from the turmeric I use, grounding has helped when my knee was so inflamed I had trouble walking. Being pain free is something we all desire. Consider these methods to reduce the stress and inflammation in your life. Tell a friend. Ober, C., Sinatra, S. T., & Zucker M. (2010). Earthing:The most important health discovery ever? 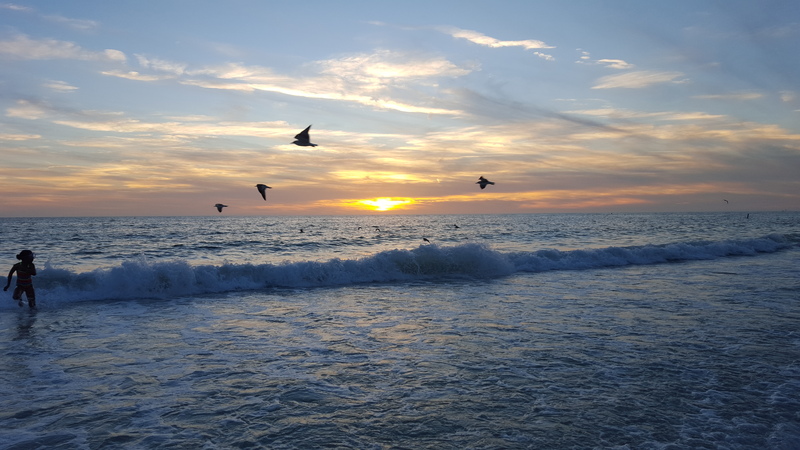 Laguna Beach, CA: Basic Health Publications, Inc.
PDQ® Integrative, Alternative, and Complementary Therapies Editorial Board. (2014). PDQ Aromatherapy and Essential Oils. [PMID: 26389261]. Bethesda, MD: National Cancer Institute. Retrieved from http://www.cancer.gov/about-cancer/treatment/cam/patient/aromatherapy-pdq. Travel with Frank – Frankincense, that is. Frankincense (Olibanum) is one of the most widely known essential oils, and for good reason. Used as currency and trade for centuries, as early as 500BC, its original form was resin which was burned as incense in many rituals and ceremonies, and during embalming to cover the scent of the dead. Most people remember this oil from the Bible. It was one of the gifts the three Kings gave to Jesus at his birth (or shortly thereafter). Grown in Oman, the people have used frankincense for basic necessities in the household, religious ceremonies, and medicine for centuries. Common uses in the home include driving insects away, as a toothpaste, a deodorant, and as a flavoring in food. Interestingly, its more common use was medicinal. I’ve heard it called the father of all oils. Perhaps it received the name because of the variety of ailments frankincense was used to treat. On my recent vacation, I used frankincense on my toothbrush. It has a pleasant taste. I also added a drop in some water for indigestion. I was pleased with the results. If you have a high quality, pure essential oil, this one is considered safe for consumption and can be used as a dietary supplement. And if, according to Hippocrates, “Let thy food be thy medicine and medicine be thy food”, people can ward off many illnesses just by consuming natural herbs, food, and essential oils. Hey ladies, I also discovered that if I rub some of the oil into my skin after shaving, I have less bumps near the bikini area. Men, you might try this oil as an aftershave. Women have used the oil as an addition to cosmetics. In fact, I remember reading something about Cleopatra’s eye-liner coming from the burned resin. In modern days, it’s added as a main ingredient in products to help reduce wrinkles. I have been using it to clear an occasional bout of acne. 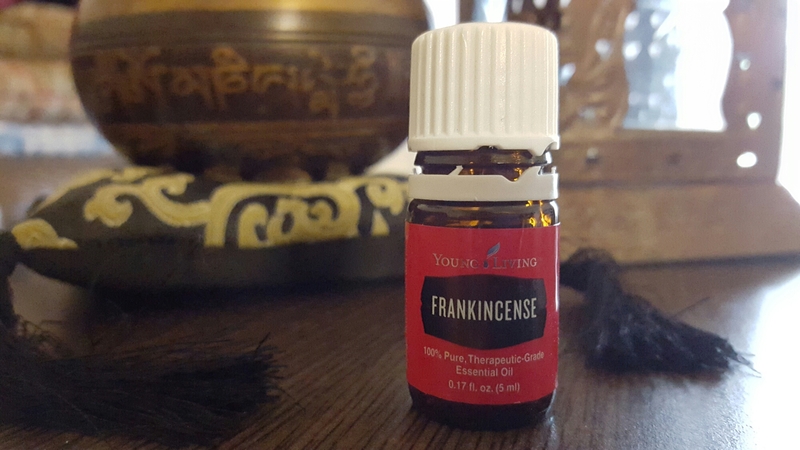 I don’t want to forget to mention that frankincense can be diffused into the air during meditation or yoga practice. Our senses connect the exotic fragrance of the Holy oil with the creator to uplift the spirit during the meditation practice. The idea here is to do your research. Find the best quality oils available; look for 100% pure, therapeutic-grade oil marked as a supplement. Frankincense has never been cheap. If you find a 15ml bottle less than 30 or 40 dollars, chances are the oil is not pure. In this case you would only hurt yourself. A common dose is 1 drop of oil to 1 Tbsp of honey or in 4 oz. of water or almond milk. Under 6 years of age is not recommended. Used wisely, you will find this oil is a treasure. Invest in yourself and use frankincense. You will not be sorry. Today’s post will also focus on an essential oil you should not be without, Young Living’s Panaway. The main ingredients in Panaway are wintergreen, helichrysum, clove, and peppermint. If you enjoy sports or outdoor activities, don’t leave home without this essential oil blend. Its aspirin-like properties work well for muscle and joint pain. My mother told me that when she was a kid, she had a lot of knee pain, so my grandmother would rub wintergeen oil into the affected area to soothe the pain. It works because wintergeen contains a powerful natural substance called Methyl Salicylate. Commercial products will use a synthetic form of methyl salicylate in its products. They are based on the natural remedy; but the natural oils are lost, or the product contains very low amounts of the active ingredient. Panaway contains Helichrysum oil, a natural anti-inflammatory, along with Clove oil known for relieving the pain of arthritis. Anti-inflammatory agents help remove excess fluid away from the site so the body can begin to heal. Peppermint oil is another anti-inflammatory oil. It, too, acts to remove fluids. But rather than add chemicals or capsaicin, a chili pepper ingredient that adversely affects some users, Young Living uses the menthol of peppermint to provide the warming and cooling effects in this essential oil blend. The combination allows for direct application without a carrier oil. It will not burn the skin. The next time you find you have over-done your routine and need the aid of a quality essential oil blend, grab the panaway from your Premium Starter kit. Its powerful ingredients will keep you invigorated instead of sitting on the sidelines.